Looking for a way to display family photos, wedding announcements, birth announcements etc? You need a photo card display stick! Spray paint the yard stick and let dry completely – you might do this at night and then work on the wine corks the next day. While waiting for the spray paint to dry, carefully cut the wine corks in half lengthwise. This can take some finagling, just be extremely careful when you cut them. 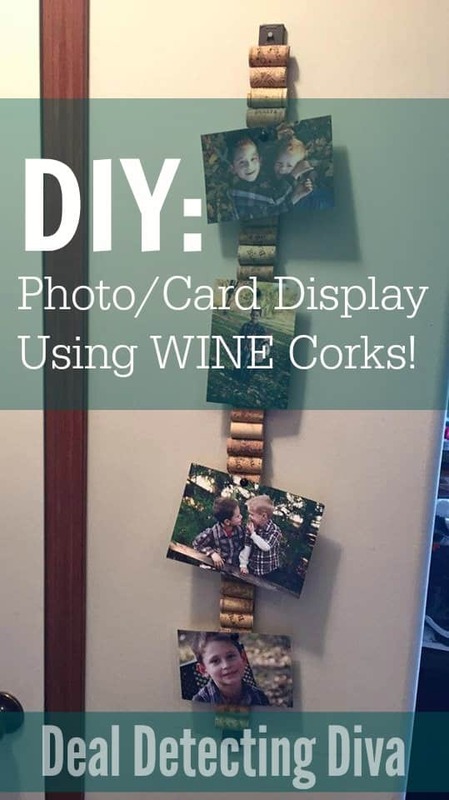 Take the halved wine corks and hot glue them to the painted yard stick. Hang it up and you’re done. Seriously, that’s it. ♥ How easy, frugal and CUTE! !